This sad time has come..... the end of a great series. 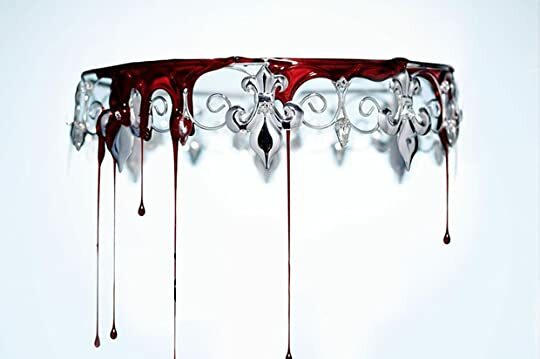 And Victoria Aveyard really did a great job wrapping this one up. There were a couple of huge frustrations, but overall it was a fantastic ending that closed up a lot of details in a really satisfying way. 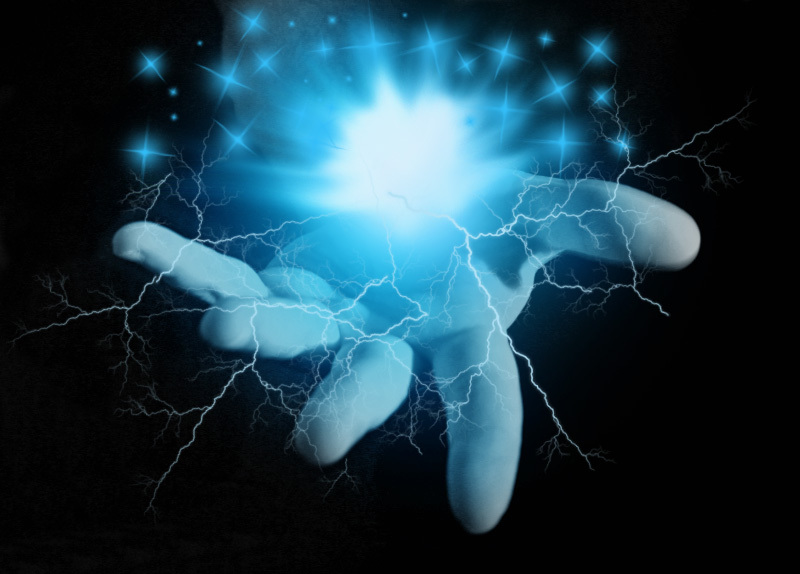 War Storm was dynamic and powerful, driving home the end of the story in an electrifying way. This ending in particular may be one of the best young adult series endings I have ever read. There was so much in this book- so many details, so many moments, and so many fine movements- and it all came together beautifully in the end. What I really appreciated about this too was that it kept moving. There was never a moment where something inane was happening. It all was crucially important to the larger picture and all played into each other. The only setback from this is that I wish there was another book. Yes, because I want another book in general from this series, but also because I think there was so much that it could have easily been split into two books. This way as well, there could have been some more details added in for things like character development. I have to mention the ending as well. Not as a setback, but as a really potent strength for this book. So often a series or a trilogy will just stop or leave things half-baked at the end of it all. This did not. 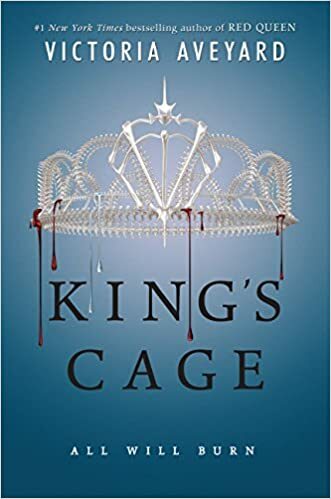 It closed off the story in a way that was realistic (or realistic for the fictional world) and left room for the story to breathe even after the final page is turned. There were no moments in particular that really stood out as being amazing about the ending. There were actually even a couple of times where I think I could have read a bit more about, like the final surrender from Iris and her mother. As a whole though, it was so nice to have a good ending. 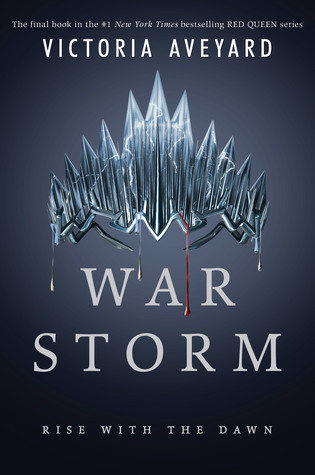 It has been really hard to find a series that perfectly nails the ending of the overall arc, but War Storm definitely fits the bill in my opinion. 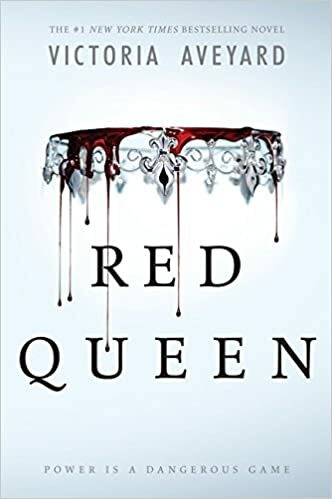 MARE: This is one of the few characters where I am not just pleased overall with how her character has grown through the series, but I enjoyed her role in this book specifically as well. One of my absolute favorite things about her is that she stuck to her convictions in this story. She has gone through hell and back and after recovering (I think for the most part) she is so much stronger for it and I love that we got to see that new leaf of Mare being turned over. I think it was so well done and that there could even be a way to see a glimpse of how Mare would carry herself in the future. CAL: I want to slap him across the face. Generally speaking, his character was really well constructed, as frustrating as he can be. Towards the end though, I hated his development when Mare killed Maven. They had literally discussed how one of them needs to kill him like an hour before Mare does it, and yet he's still pissy about it afterward. Even as Mare is ON A HOSPITAL BED. Sure Cal loved Maven and they were brothers, but I think there was still some set up in his character for more compassion and understanding toward Mare for what she had to do. But after it happens, it's like that conversation and understanding had been thrown out a window. MAVEN: Great character. A complete crazy sociopath by the end of the book of course, but such a great characters. I loved the consistency that we saw from the first book through this one in terms of how his mother has shaped him and how he has been affected by her gift. It hurt when he died, not because I didn't want Maven to die, but because it was tragic what he went through as well and who he could have been without his mother's evil. IRIS: This was the most confusing character of them all because I feel like her character was bouncing in attitude and tone throughout the entire story. The character developments in general I thought were not as strong in this book as the others, but Iris especially felt like she was just fitting whatever role was needed for her at the time in order to move the plot along. EVANGELINE: By this point in the series, I love this chick. I love her character, I love her growth, I love her personality. She's just great and I think she is a great example of how these characters have had to grow and develop with each other as well as individually. Eve (by the way, random nickname?) 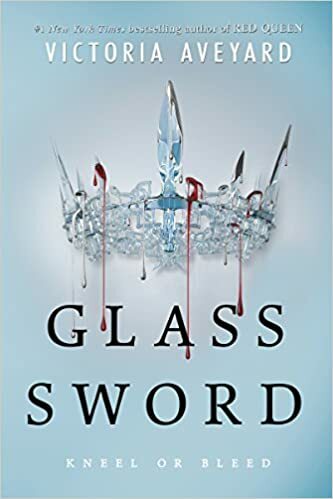 has come so far from the first book and I think her plot has been one of the strongest in the series. Unfortunately, this is where my largest issue lies with the book. I really loved some of the points of view. Eve, Mare, and Iris were great touch points to have and I loved reading from their perspectives. However, it felt odd to say the least when random points of view would be thrown in, like from Cal or Maven. I can understand how it would be hard to incorporate some of the plot points without these points of view, but it was forced and didn't seem as incorporated into the story as the other chapters. Multiple points of view are great, but this felt scattered.